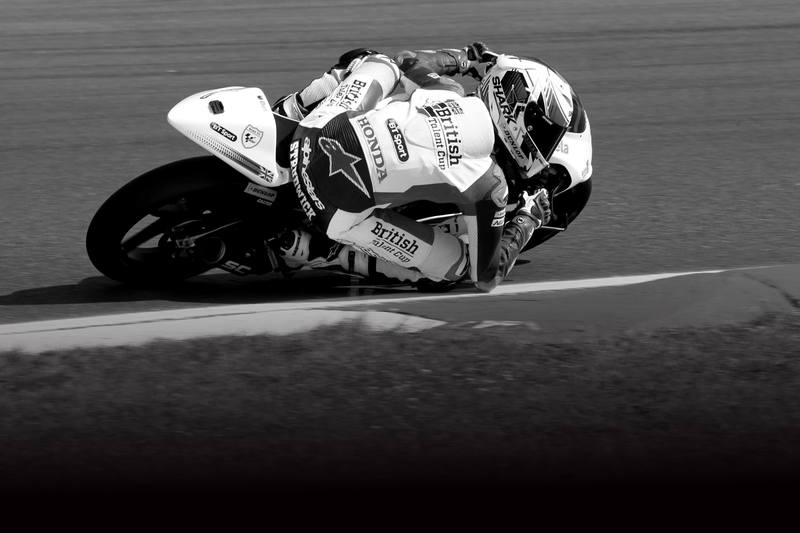 My name is Thomas Strudwick, I am 17 years old, and my goal is to race in the MotoGPTM World Championship. After a few years racing on the dirt tracks, I decided that I wanted to give tarmac a try, which is what my uncle and dad used to do. 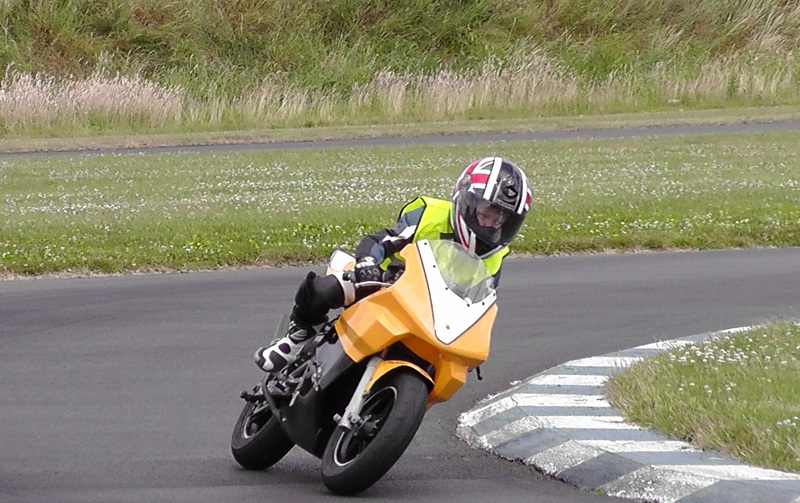 I watched many MotoGPTM races, and in 2011 I entered my first minimoto race with FAB-Racing. I loved it. 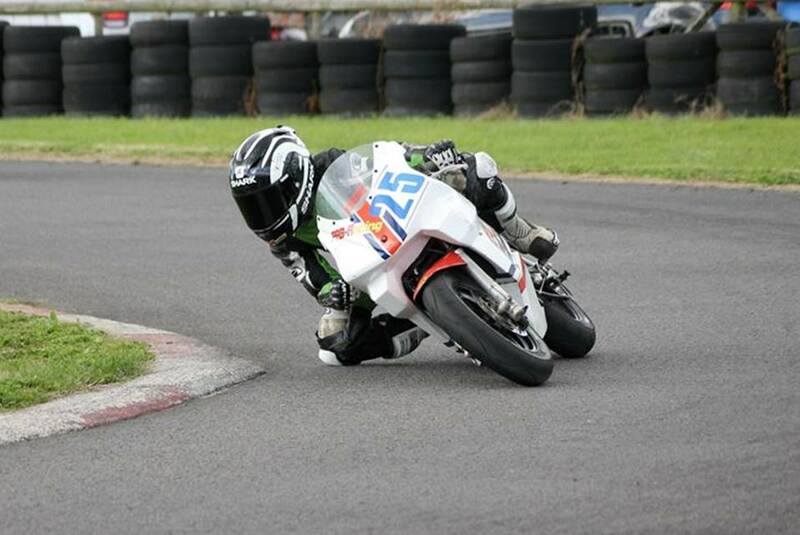 The following year I progressed into the British Metrakit MiniGP 50cc motorcycle Championship, and by the end of the season, I had won my first national race! 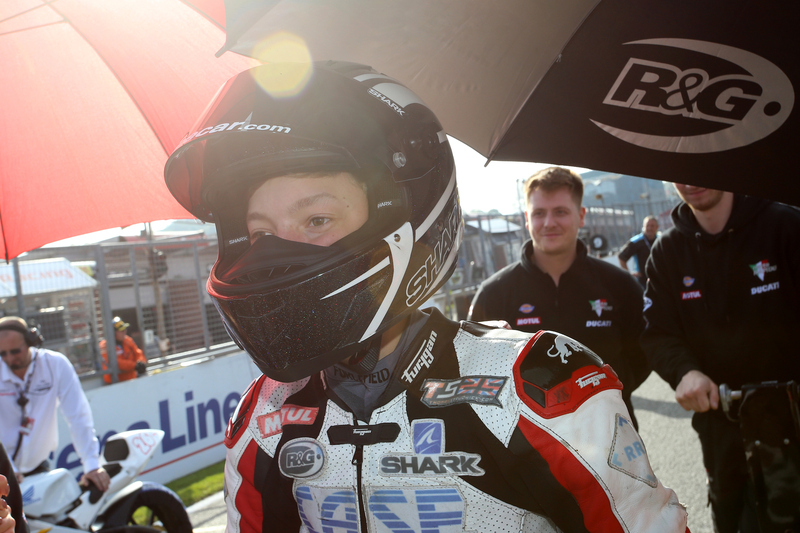 In 2015, I progressed into the British Superbike Championship, racing in the Santander KTM British Junior Cup. After riding on kart circuits, this was a big step for me! 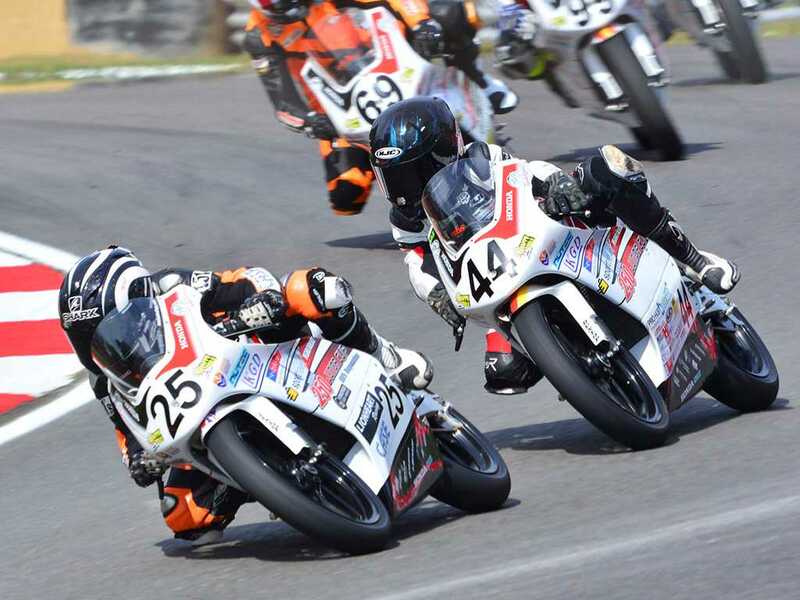 At the mid-stage of the season, I was leading the British Championship, and had been invited to compete as a wildcard rider in the European Moriwaki 250 Championship at Brands Hatch! I had a great start to the weekend, and after qualifying on the front row, I finished second in the first race of the weekend! Unfortunately, I was involved in a collision in the second race and had to miss the next 3 rounds of the KTM cup while I recovered. I returned to the final round of the season and won my first race back! For the 2018 season, I continued with the Case Moto Rapido Moto3 team in the British Moto3 standard class, and I also raced in the inaugural season of the MotoGPTM British Talent Cup! 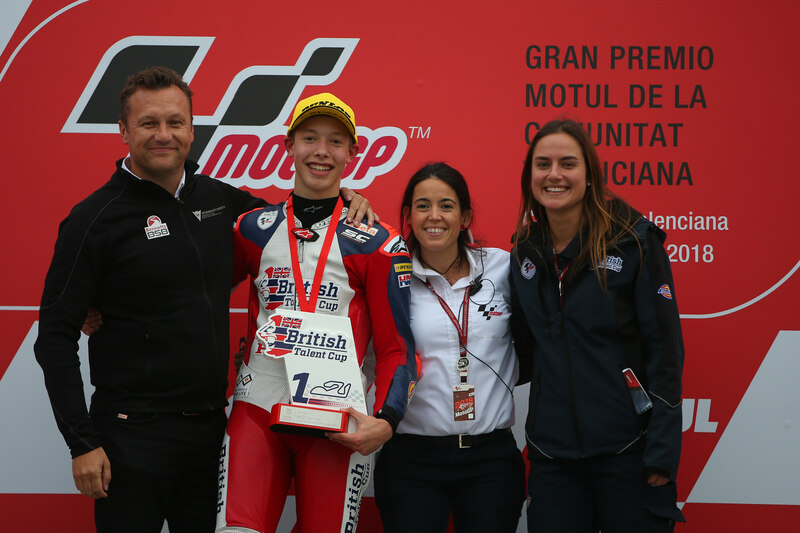 I had a fantastic season in both categories and heading into the final rounds I was leading the Talent Cup, and second in the British Moto3. 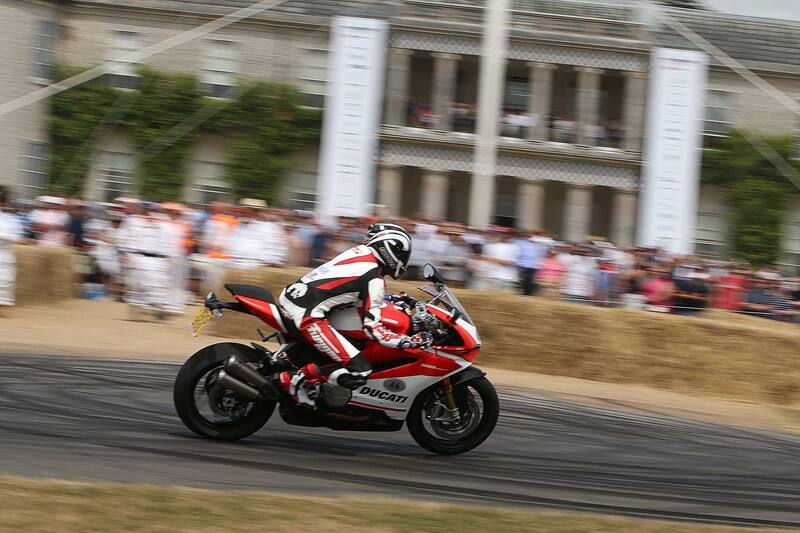 I also had the opportunity alongside Italian motorcycle manufacturer Ducati to be the youngest ever motorbike rider to ride up the Goodwood Festival of Speed Hill Climb in Sussex. I finished the season 2nd in both British Championships! I was born in 2001 and have lived in West Sussex, England, for the whole of my life. My family has always had an interest in motorcycles and at just 5 years old, I began to ride myself. 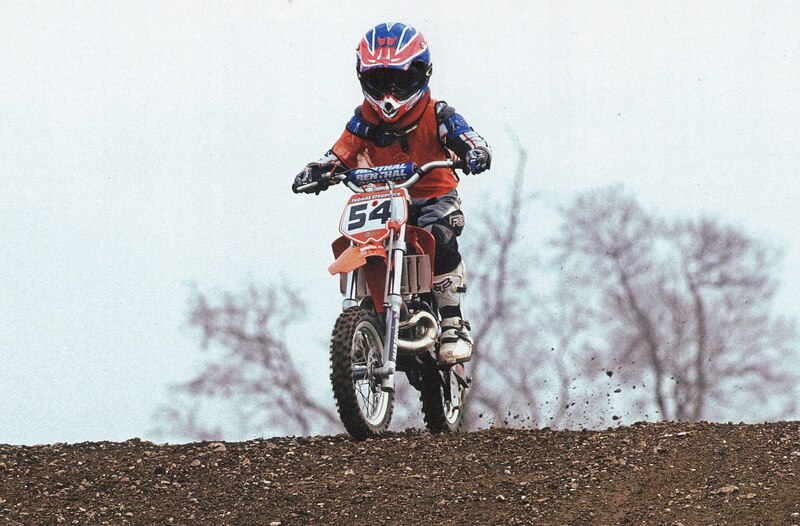 I followed in my brother's footsteps by starting on a 50cc KTM motocross bike and shortly after I entered my first race with Ringwood Motocross Club. In 2013 I progressed into the British MiniGP 70cc class, and in my first season, I won 4 out of the 8 rounds. I kept at it and the following year won my first British Championship! I also had my first appearance on live tv with BT Sport's "MotoGP Tonight" show alongside FAB-Racing. In 2016, I moved back to Grand Prix motorcycles on a Honda Moto3 standard class bike. It was the first season that the British championship ran this class and it was a great year learning. The following season, I was fortunate to have been selected by the Case Moto Rapido Ducati BSB Superbike team to join them alongside former MotoGPTM rider, John Hopkins! I finished the season in 3rd place. During the middle of the season, I was also invited to the British Talent Cup selection event at the British Grand Prix. After a day of riding in front of MotoGPTM talent scouts, I was accepted alongside 22 other riders for the inaugural season of the British Talent Cup in 2018!